The effects of opioids affect the body, and the health care system around the country. Further on from the obvious drug overdose increases due to the current opioid crisis, health conditions arising from intravenous drug use is now making waves in the healthcare industries and forcing doctors to question, “who really deserves a second chance?” Doctors are sadly within their right to question such things, a statement from the Centers for Disease Control and Prevention said addicts with endocarditis are 10 times more likely than other patients to die or require a second surgery months after initially leaving the hospital. The heart condition Staphylococcal Endocarditis is one of the most common diseases stemming from serious intravenous drug use, and accounts for 70% of all infective endocarditis (IE) cases. Most commonly effected is the right side of the heart, and the mortality rate with those suffering from infective endocarditis is severe, nearly 30% of patients are dead within one year. Making surgery Imminent in 50% of all confirmed cases. Surgery usually requires valve replacements or repair combined with antibiotic therapy and timely surgical intervention, patients can recover from the life-threatening aliment. Studies have shown that although right sided IE cases can occur in conjunction with congenital heart disease, it is overwhelmingly a disease of injection drug users. Of those injection drug users with IE, the disease occurs most commonly in young males in their 20’s and 30’s in inner-city areas. Symptoms of endocarditis are fever, chills, shortness of breath, headaches and joint pain. Patients are diagnosed by a series of blood culture tests, an Echocardiogram, CT scans and X-rays. None of these treatments, surgeries or therapies are cheap. A right-side valve replacement can cost as much as $150,000. Patients are treated for a standard 6 weeks of intravenous antibiotic therapy in the hospital, because physicians fear sending patients home with the equipment that they will continue using illicit drugs using the provided IV lines. 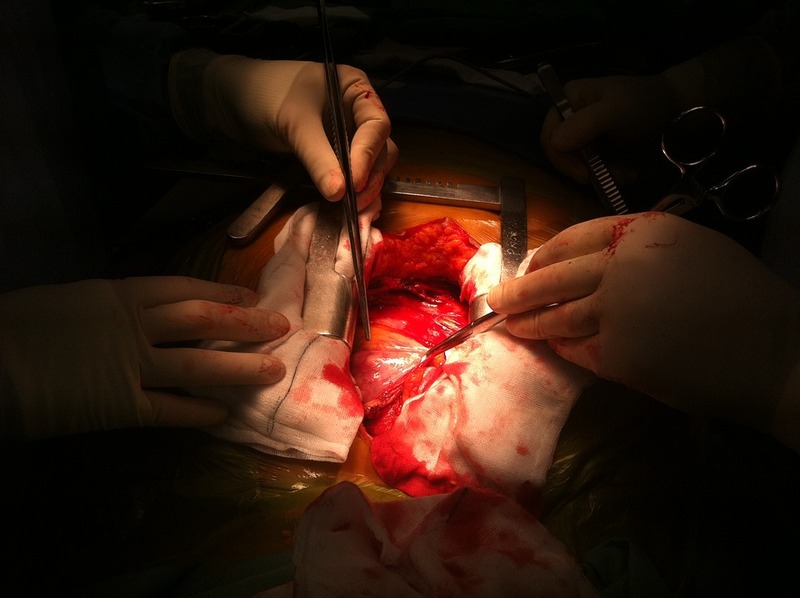 Patients are met with prejudice and hesitation from doctors because of the risk involved with heart surgery patients and the threat of what a relapse would do to such an invasive and expensive procedure like heart surgery. Doctor’s like Thomas Pollard, a veteran cardiothoracic surgeon in Knoxville, Tennessee say they’ve had to become more selective with the expensive lifesaving procedures. Methamphetamine abuse is a continuous problem throughout the country combined with the amplifying opioid abuse statistics, more people are falling ill to endocarditis from injecting the drugs — and in some cases repeatedly if they continue shooting up. At what point does a doctor say, Is a heart ever not worth fixing? Pollard’s own experience with a prior patient of his comes to mind. Over a year ago he replaced a heart valve in a 25-year-old male intravenous drug user, just to see him return a few months later. Two valves were infected, including the new one Pollard replaced, and his urine tested positive for illicit drugs. Pollard refused to perform a second operation on the man. Months later, the patient died at a hospice facility. “It was one of the hardest things I’ve ever had to do,” he said. Dr. Pollard has witnessed an increase of endocarditis cases among young, poor drug users whose hearts are salvageable, but with their continuous addictions that remain unaddressed, particularly by the medical system that refuses responsibility for treating the preexisting disease. A study of a West Virginia hospital found 462 patients that were admittedly consuming cocaine, Demerol, Oxycontin, Percocet and other opioids in large doses, where hospitalized with Infective Endocarditis while also being treated for explicit drug abuse. Infective endocarditis cases increased from 26 in 2008 to 66 in 2015. Most of the patient cases were found to have a lack of ability to pay for their treatments or surgeries, showing uninsured (10.4 percent) or underinsured by federal and/or state programs (10.6 percent and 56.2 percent, respectively). Throughout the study of the West Virginia hospital, the hospital billed out $17.3 million but were only reimbursed $3.8 million. In 2015 alone, the hospital lost $3.5 million to care for these patients. These increased costs to the rural state of West Virginia and the hospital itself comes during a time of regional economic uncertainty and contracting hospital reimbursement. Lead researcher Dr. Mark Bates said, the patients in this study followed a typical path. They started with abusing prescription opioids, and when those drugs became harder to obtain they moved on to cheap, readily available illegal drugs like heroin. Bates is the director of cardiovascular research advancement at Charleston Area Medical Center in West Virginia. Dr. Arthur Williams, an assistant professor of psychiatry at Columbia University in New York City, agreed that is a common scenario. “Many patients who initially started by using pills gravitate toward stronger drugs that can be snorted or injected, such as heroin,” said Williams, who was not involved in the study. When their addictions go without treatment, consequences can include other life threatening bacterial infections and diseases like HIV and hepatitis C, he added. But despite the risks Williams said, people “rarely” get the medications recommended for treating opioid dependence, such as buprenorphine and naltrexone. One reason is because many people do not live near a medication provider who offers the scientifically proven addiction treatment medications. This is particularly true in a heavily rural state like West Virginia said Bates. While the evidence becomes clearer that widely available treatment may be the way to combat the opioid crisis, little is being done to enforce it. We’re all paying for it in one way or another, and preventative measures are more affordable than the aftercare. Does Addiction Relieve Addicts of their Free Will?